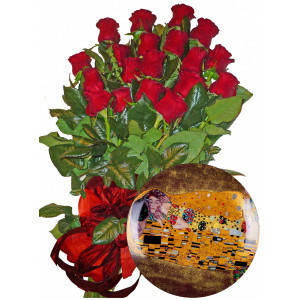 Red Roses and Porcelain wall plate* Red Roses - Only red roses with a beautiful ribbon. 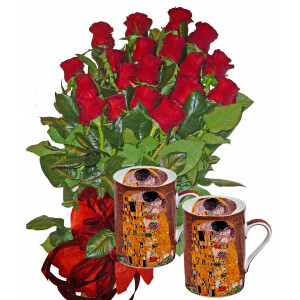 * Porce..
Red roses bouquet and Mug Set "THE KISS" * Red Roses - Only red roses with a beautiful ribbon.&..
Red Roses & Grande Mug * Red Roses - Only red roses with a beautiful ribbon. 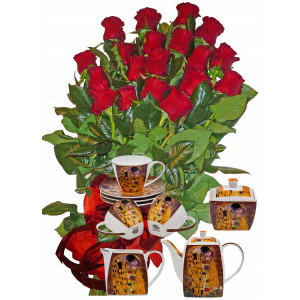 * Grande ..
Red roses & Ceramic wall plaque* Red Roses - Only red roses with a beautiful ribbon. 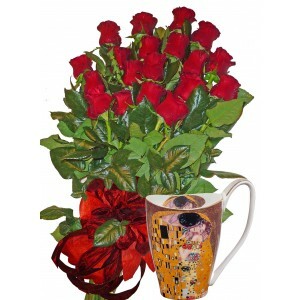 * THE ..
Red Roses and Coffee Set* Red Roses - Only red roses with a beautiful ribbon. 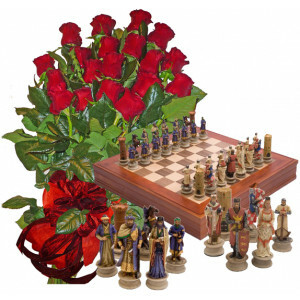 * Coffee SetGusta..
Red Roses and Historical Chess SetRed Roses - Only red roses with a beautiful ribbon. Historica.. 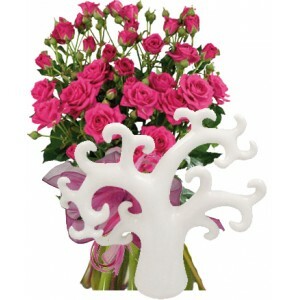 Romantic Gift - Roses & Candlestick* Red Roses - Only red roses with a beautiful ribbon. 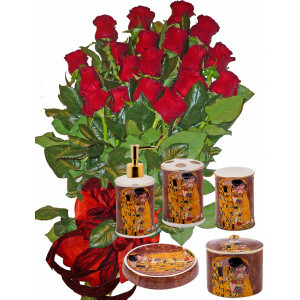 * ..
Red roses and Bath set* Red Roses - Only red roses with a beautiful ribbon. * Bath setGustav Kl.. 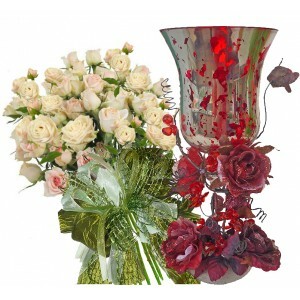 Unique Gift Idea # 4 Olive - White spray roses bouquet and Olympia - Aroma candlestick goblet* .. 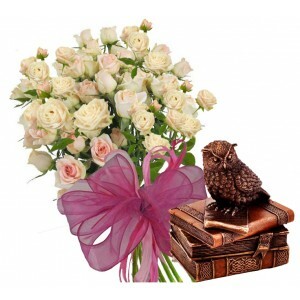 Unique Gift Idea # 2Olive - white roses bouquet and eagle owl * Olive - white spray roses .. 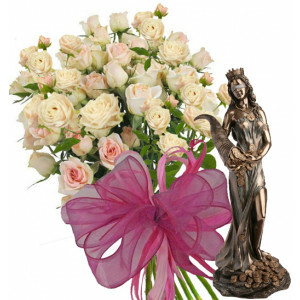 Unique Gift Idea # 1 - Roses & GiftOlive - White Spray Roses Bouquet and Fortune Statuette. .. 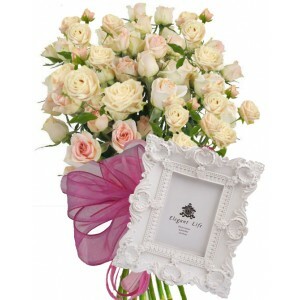 Unique Gift Idea # 3 - Roses & GiftOlive - White spray roses bouquet and plaster photo frame.&nb.. 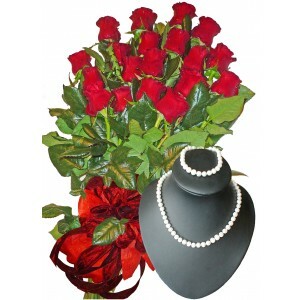 Romantic Rhapsody - Roses & Jewelry* Red Roses - Only red roses with a beautiful ribbon. 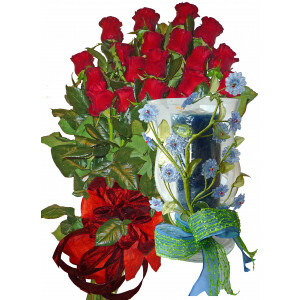 * ..
101 Kisses - Roses and picture * Red Roses - Only red roses with a beautiful ribbon. * TH..
Geraldine # 2 - Roses and giftGeraldine - Pink spray roses bouquet and TREE - Ceramic Stat..
My sweet love - Roses and water globe* Red Roses - Only red roses with a beautiful ribbon. * To..